Delta Lures started mass-producing spinnerbaits in 2011, and now their offerings are sold all over the country. Delta Lures’ spinnerbaits are available in 1/4-, 3/8- and 3/4-ounce models. Fred King and Roy Laborde, both of LaPlace, started making spinnerbaits in 2010, 13 years after they began fishing bass tournaments together. The spinnerbaits they relied on for years were difficult or impossible to get their hands on. “We couldn’t find what we were looking for … the vibration, the wire, the ball-bearing swivel, so we just started making our own,” King said. They made the spinnerbaits well, obviously, because bass ate them. Word got out about the hot lures and soon, people were asking the outdoorsmen to build them some. And some more. 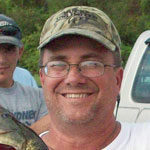 King and Laborde started mass-producing the spinnerbaits in January of 2011. Their artificial lure manufacturing company, Delta Lures LLC, was born. 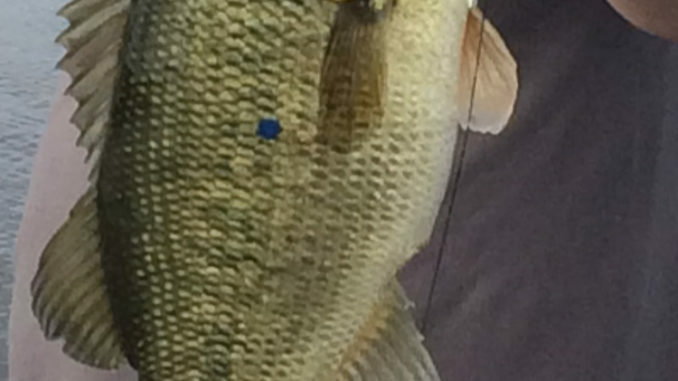 Their distinctive logo, with a Louisiana map and a bass leaping near the star at LaPlace, can be seen wrapped on the Bass Cat boat Robbie Latuso of Gonzales uses on the Bassmaster Elite Series. Delta Lures’ spinnerbaits, buzzbaits, bladed jigs, jigs and complete lines of tackle are on racks in 41 stores in Louisiana, Arkansas, Texas and Oklahoma. The first to stock them was Scott Russo at the old Russo’s Hunting and Fishing store in LaPlace. “It’s definitely growing, definitely picking up in popularity. We’re starting to sell more around the country. Our production’s grown in the last two years,” King said. 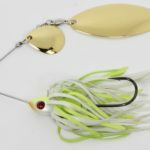 The company has grown because its owners emphasize building the artificial lures with quality parts, and the flexibility and ability to build to order and make custom products, like the wide variety of spinnerbaits. “That’s my favorite bait to fish, that and a buzzbait. We’ve been catching a lot of fish on the spinnerbait the last couple of months. 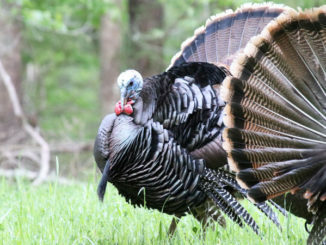 We’ve been fishing the Venice and Delacroix areas,” King said. The owners pay attention to the slightest details while building the 1/4-. 3/8- and 3/4-ounce spinnerbaits. The stainless steel wire is custom-made, and the heads are painted in Mississippi. King and Laborde put the blades and other components together once they receive the heads, which have red 3D eyes, and special wire — 20,000 at a time for the latter. Wire gauges are .032 for ¼-ounce, .034 for 3/8-ounce and .040 for ¾-ounce models. Delta spinnerbaits feature ball-bearing swivels, Mustad Ultra Point Black Nickel Hooks and H&H rubber skirts or 44-strand silicone skirts. The blades are top of the line in popular colors and shapes. You can get spinnerbaits single-bladed or double-bladed, mix or match Colorados, willowleafs, Indianas, turtlebacks, etc. Most Delta Lures’ spinnerbaits have the traditional “R” bend to tie the line. However, old school ‘twisted’ models are available. Veteran pro bass angler Albert Collins of Nacogdoches, Texas, prefers the twisted models, King said, noting he was the first to ask for them. Count Don Hutchinson of Prairieville also among those who want to throw that model, he said. Why? Collins, 53, said, “The R bend is just a weak link to me. “I grew up throwing a spinnerbait with a twist,” he said. 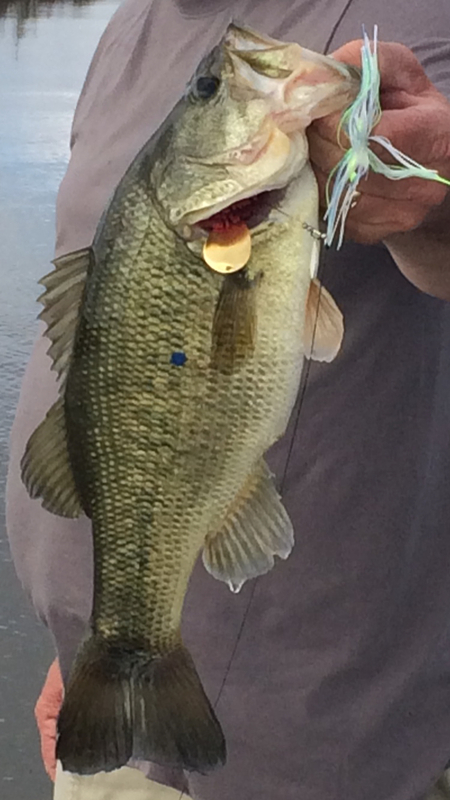 After the market was saturated with R bends, he lost bass when the spinnerbait broke, he said. It could only handle three or four 4-pound-and-up bass at a time. King said people got away from the twisted bend because sometimes the line catches under the twist, frays and then breaks. However, he said, modern lines are stronger. Collins got his twisted spinnerbaits and catches 25 to 40 bass on one, he said. “Just pay attention to the line. Whenever I pull it in, I look at the line. You don’t have to pull it all the way to you,” he said. 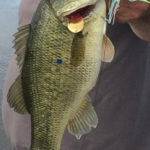 For more information on the spinnerbait and other Delta Lures’ products, go to deltalures.com.